Paul has been with Total Capital Partners since the inception of the business in 2008 and became a partner in 2010. Prior to joining TCP, Paul had seven years transactional experience with Ernst & Young (EY). 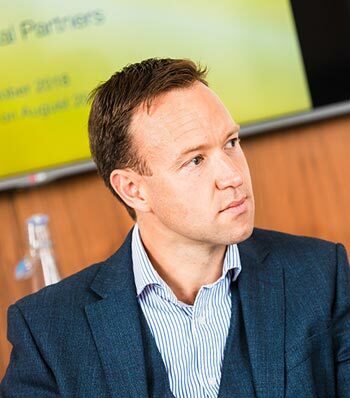 At EY, Paul worked in due diligence, and then moved into the M&A team to specialise in mid-market private equity transactions. He has been involved in many transactions, covering a wide spectrum of sectors. He is a qualified chartered accountant (CA) and holds a BA in Economics from Durham University.